each other. If the atmospheric conditions were a little worst1, such a close double would be indistinguishable from the single star, and if the stars were a little closer together, it would be practically impossible to separate them. Fig. 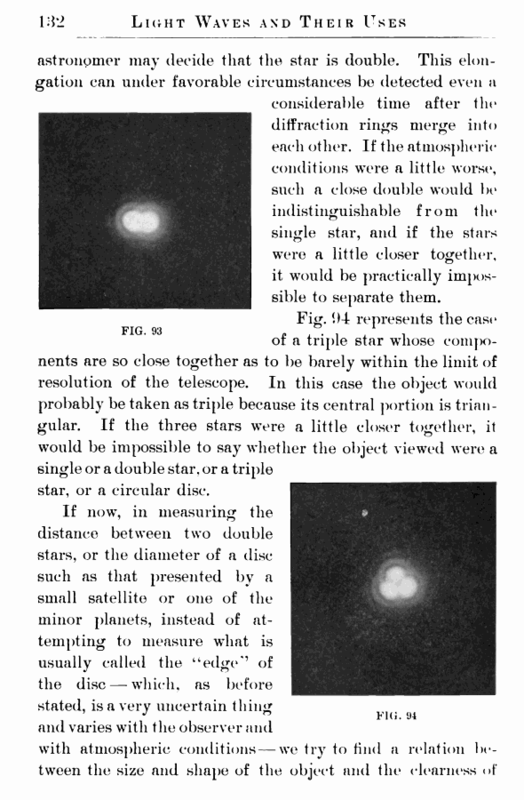 9-t represents the case of a triple star whose components are so close together as to be barely within the limit of resolution of the telescope. In this case the object would probably be taken as triple because its central portion is triangular. If the three stars were a little closer together, it would be impossible to say whether the object viewed were a single or a double star, or a triple star, or a circular disc. 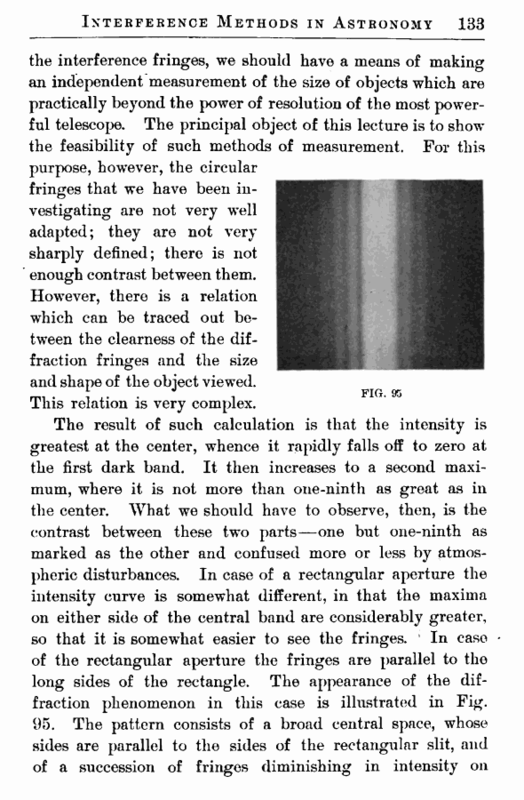 the interference fringes, we should have a means of making an independent measurement of the size of objects which are practically beyond the power of resolution of the most powerful telescope. The principal object of this lecture is to show the feasibility of such methods of measurement. For this purpose, however, the circular fringes that we have been investigating are not very well adapted; they are not very sharply defined; there is not enough contrast between them. However, there is a relation which can be traced oat between the clearness of the diffraction fringes and the size and shape of the object viewed. This relation is very complex.